Adopt from Mantle Ranch. If you can’t adopt then share this to help the mustangs. Steve Mantle was mentored by Brian Neubert who was mentored by Bill and Tom Dorrance. Steve works with wild horses using natural horsemanship methods. Steve’s ranch has a contract with BLM to adopt out wild horses. He has taken in many Wyoming horses to help them get homes. Recently he accepted many from the Rock Springs Corral that was being cleared out for the Adobe Town/Salt Wells roundup. We recommend getting an untamed or halter-gentled wild horse from Steve and his sons. When no one came forward to adopt Tibet, he went to Mantle Ranch where we picked him up. We had a positive experience with Steve and recommend him. Steve is a good horseman with vast knowledge who genuinely cares about the horses. 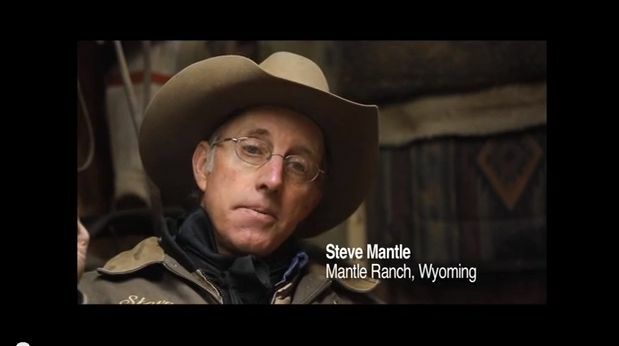 People like Steve Mantle help keep wild horses out of the slaughter pipeline but they need our help. If you or your friends can adopt one or two horses from Steve then he can help more wild horses. This entry was posted in Uncategorized and tagged Adobe Town, adoption, American, Bill Dorrance, Brian Nubert, Mantle Ranch, Mustang, Nick Mantle, Ray Hunt, roundup, Salt Wells, Steve Mantle, Tibet, Tom Dorrance, wild horses, Wyoming by Protect Mustangs. Bookmark the permalink. He is so awesome, got one of my mustangs from him, wonderful to talk to , and just a great person and trainer, he really cares about the horses, and works hard trying to help others with adopting, answering any questions.. he is .top notch! This paper.li will be featuring horses that need homes on Sundays. Please tweet this hashtag #TweetEquine with stories, photos of any horse that needs a home on Saturdays.